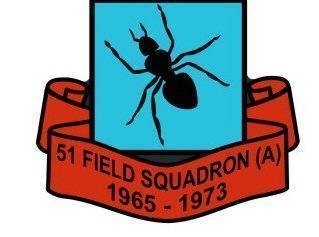 51 Squadron as I remember it. 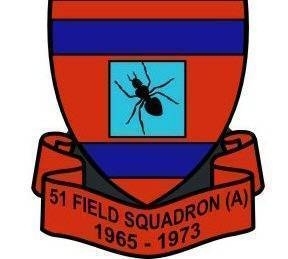 It all began for me when I arrived at Claro Barracks Ripon November 1965. 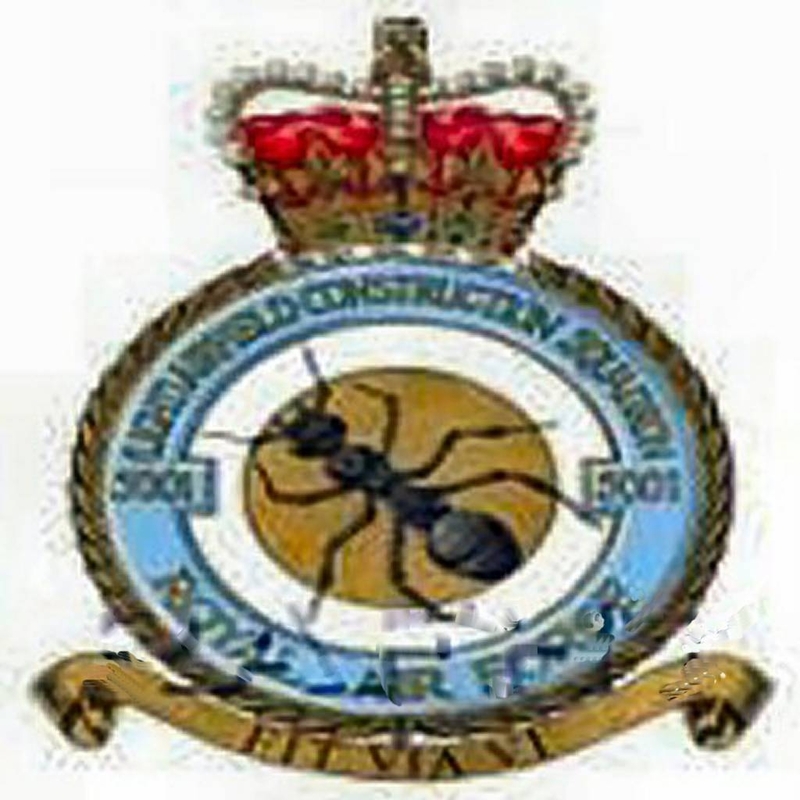 51 Field Squadron (Airfields) Royal Engineers was a newly formed Squadron Formed to take over The airfield construction Role of RAF 5001Squadron. By the Time I arrived most of the Squadron had formed up and the were just a few of us needed to make up the full compliment. It was at Ripon that I met such Legends as Taff Fisher, Harry Cook and Norman (Fingers) Taylor. Fingers got his unfortunate nickname as the result of an accident with the electric saw in the workshop. I recall Ripon as being Cold and windy and I hated its windswept parades in freezing weather. SSM Keane was King of that Parade ground and he made it his own. By all accounts he was a bit disgruntled because he was a WO1 who should have been in charge of a regiment but was only Squadron Sgt Maj for the Independent 51 Sqn. I left for Singapore with the Main Party and we went from A very cold Newcastle Airport where the temperature was well below Freezing with the roads outside covered in Black Ice and Landed in Singapore To a Temperature of over 100F. The Aircraft was a Britannia with four prop engines. we stopped at Istanbul,Ceylon (Now Shrilanka) and Bahrain. It took us a total of 25 hrs compared to today's flights of 12 to 13 Hours. Our arrival was greeted by all kinds of exotic smells borne on the very slight breeze that did nothing to cool us down. Our shirts and heavy English clothing stuck to our skins. I never forgot those first exciting impressions or the subsequent adventures of the next 2 years or so..
Over the next few days we slowly adapted to the heat but it was a bit of a struggle. I saw a Chinese man riding a bicycle and I wondered how he could possibly do that in all that heat. Within two months some of us were working in even hotter conditions on an Island off Borneo called Labuan. We were in Labuan to lay concrete to accommodate large Fuel Bowsers used for refuelling of RAF Aircraft. While we were there we did lots of other small jobs like pathways and short bits of roadway to make life more comfortable for the Forces on permanent station there. I loved Labuan and I look back with fondness at the three or four months I spent there. After Labuan we had a small detachment at a place we called China Rock. China Rock was in fact a small Island off the east cost of Malaya that the RAF and Artillery used as a Bombing and Shelling Range. The Shelling etc was observed and reported by RAF Signals Lads. They did this from a high observation lookout shelter based on the main Malayan shore. The problem was that the sea was eroding the land under the observation post. Our job was to build another post further in land before the old one fell down. We built a stronger and more comfortable observation post that that was a a joy to behold. The perks of this job was a ride in an Helicopter (Belvedere) out to the job where we stayed all week and then returned to Singapore on Fridays for the weekend. Of course this was too good to last and the Belvedere were taken out of commission due to a habit of Breaking in two on take off (Slight exaggeration but not far from the truth). We got the call on the Thursday and ended up staying there all weekend on emergency rations. From then on it was a two week stint and back and forth via road and sea. The sea journey was done by RAF Gun Boat stationed at RAF Seletar. We also did a stretch of roadway and a bridge leading from the RAF Bungalow area up to the training ground. 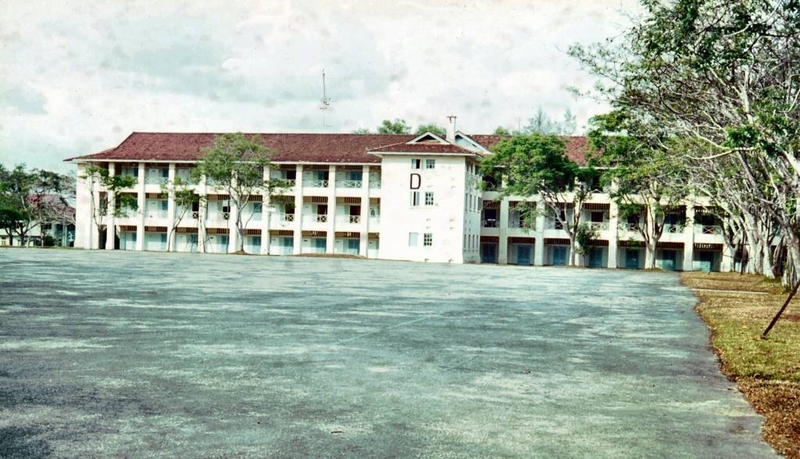 The Bungalow used by the RAF was Loaned to them By The Bauxite Mining company. The sea behind the bungalow was always red from the spillage of ore at the end of ghetty used by the mine. Nothing lived in that small bit of sea but we used to swim in there. 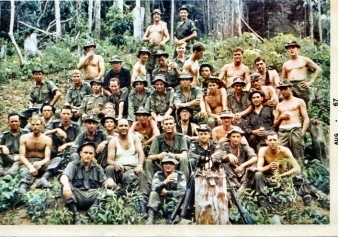 In 1967 we had another highlight of our far east tour when we went into the jungle with LT Clive Lee in Charge of us. Clive had done a stint with the SAS and was always up for anything like jungle training and stuff that was likely to over excite people. The first day into the Jungle with full pack on I was already exhausted when Clive climbed to the top of a very large hill and made the sign for an "O"group. we all clawed our way up to the top and listened to him tell us that this was, "an exercise to sort the men from the boys". Well at that moment I considered my self not only amongst the boys but I was a definate "Baby boy". We had Leeches clinging to us that we needed lighted ciggarettes to burn of. We marched through primary jungle with ants nests and snakes and large bugs that seem to come from some horror movie. The vegitation was razor sharp or plunged thorns an inch deep into your skin. After two weeks our shirts and trousers were starting to rot away and hardly an inch of skin was untouched by insect bites. The worst insects were the red fire ants that stung and clung onto you leaving their heads clamped into when you pulled the body off. We had an air drop from a Beverley aircraft around the 6th day. The Boxes of rations were dated from the war years and were therefore around 23 years old by the time we were using them. They were still good rations and after the 12 hour packs we had been eating they gave us more choice and a more substantial diet. There were tins of Cigarettes in the packs. The fags were so dry that when you lit them up they seemed to burn down in one drag and nearly blew your head off. By the end of the exercise we all had beards and and stank to high hevean with clothes hanging in shreds and we certainly looked the part of villianous marauders. All of the above sounds bad but as a young lad it was all adventure and its another time I remember with fondness and am very grateful to have done it. After coming back to England it was a another 12 years before my wife got back to Singapore to see her Family but we have been back many time since. On returning tho England most of us Pads were stuck in temporary accommodation in Council houses in Huntingdon. We travelled 20 miles to Waterbeach and 20 miles back each day. We either travelled in buses or on the back of three ton trucks. After about 18 months We got a brand new Quarter at No 23 Capper Rd Waterbeach. This was right next to the camp and thus gave me a lot more fee time with less travel. From Waterbeach we did detachments to Malawi, Libya, Canada and Northern Ireland. Some of the Lads also Did Beef Island, Anquilla St Kilda and many more.